Arrow Season 8 will be its last on The CW, and its entirety will consist of ten final episodes. The CW made the announcement Wednesday. 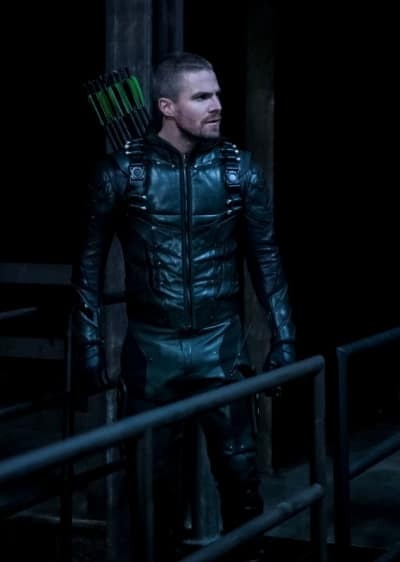 Arrow was the first of the DC Universe shows to hit The CW with its premiere in 2012. From it launched the "Arrowverse" which included The Flash (the first show to rise above its predecessor), Legends of Tomorrow, and Supergirl. Batwoman was introduced in 2018 with a series eyed for the 2019-20 season. As viewers watched the latest mega-crossover event from the Arrowverse, the ramifications of the next immediately began speculation that one, if not several, of the current crop of The CW DC Comics-inspired shows might be coming to an end when it aired. Crisis on Infinite Earths was a 12-issue comic series that led the deaths of two major heroes, both of which currently lead the Arrowverse. During Elseworlds, Oliver Queen made a deal to keep those two characters from death. But the deal, we all thought, probably came with a price. 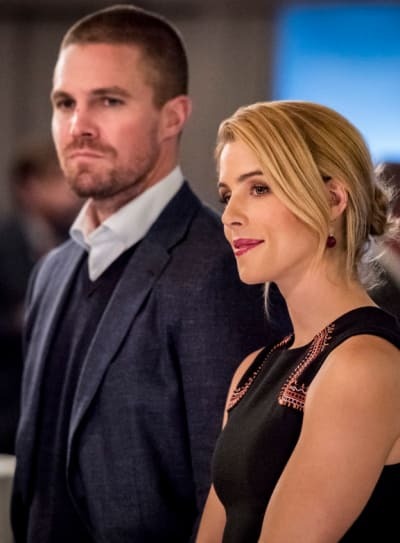 As the Arrow Season 7 storyline has unfolded, the show has heralded in a new generation of characters in William, Connor Hawke, and Mia, the child of Felicity Smoak and Oliver Queen. Mia's unfamiliarity with her father has led many to conclude that Oliver will, indeed, die at the end of Crisis on Infinite Earths. The news today sends the message that the always-astute fans might have been onto something. At the TCAs in January, The CW network president, Mark Pedowitz leaned in that direction by asserting that the current crop of shows will age, and The CW has hopes that the next generation of shows will continue for as long as possible. While there is no indication that Pedowitz was literal in that remark, with the future playing out before our eyes in of the best arcs on Arrow this season, it's easy to conclude that not only will the Arrowverse continue, but in some way, the families who starred on it might continue, too. 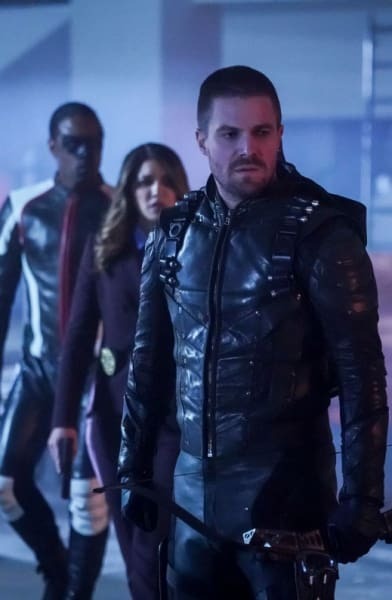 "This was a difficult decision to come to, but like every hard decision we’ve made for the past seven years, it was with the best interests of Arrow in mind," showrunner Beth Schwartz and exec producers Berlanti and Marc Guggenheim said in a joint statement Wednesday. "We’re heartened by the fact that Arrow has birthed an entire universe of shows that will continue on for many years to come. We’re excited about crafting a conclusion that honors the show, its characters and its legacy and are grateful to all the writers, producers, actors, and -- more importantly -- the incredible crew that has sustained us and the show for over seven years." Steven Amell, who has played Oliver Queen for the past seven years, took to his Facebook page to address fans personally. It might or might not come as a surprise that Amell met with Berlanti about walking away from the show, and they came to the conclusion together. They met this past week to determine the finality of Arrow, and the ten-episode run was the result. 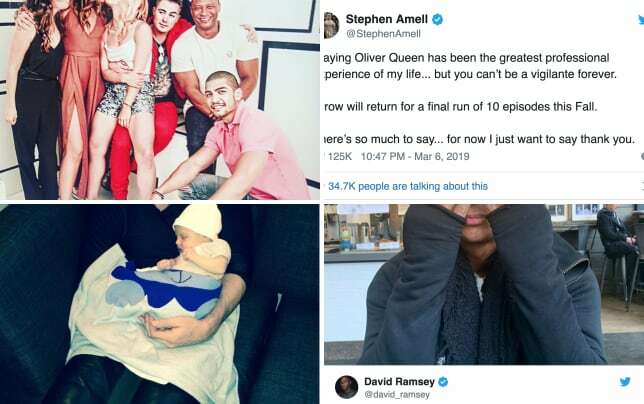 Amell is obviously emotional about his decision and the future of the show, but shares that his experience as Queen changed him so dramatically as a person and family man that moving on is the best thing for all involved. We know fans are going to have a lot to say about this, and we look forward to working with you as the series concludes during the 2019-20 season to exalt the way it changed television's treatment of superheroes and more. If you watch Arrow online, you'll never need to let go of your favorite characters. Related: Supergirl Review - What's so Funny About Truth, Justice, and the American Way? For the rest of you, you'll need to find another way to channel your love for Green Arrow, Felicity Smoak, John Diggle, Laurel Lance, and more as their future is now limited. I may have had some several critical opinions about Arrow over the years, but the characters have become family. I'll certainly miss catching up with them. Hit the comments now, and let us know what you're thinking.